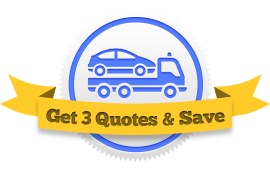 Looking for an insurance quote for your towing company? Don’t get just 1 quote, get 3! Do not wait until the day before your old policy expires to start searching through new towing insurance companies. You should give your agent at least 60 days to compare policies and get you the best towing insurance company possible. There is no single best insurance company—what’s right for someone else might not be right for you. So how can you find the one that’s yours? You cast a wide net. Don’t just contact one insurance agency, contact multiple ones. This is actually easier than it sounds. In fact, you can fill out a single form and get immediately connected with three different agents online. After the agent has processed your information, he’ll offer you a specific quote from an insurance company. You should accept or decline the offer based primarily on two things: the price and the reliability of the insurance company. Probably the most important step is deciding which coverages you want to include in your policy. We’ve outline the major coverages you’ll need. Towing Auto Liability – Legally required coverage that protects you from being held liable in accidents where you’re at fault. You must have liability insurance for every tow truck driven on the road. Property Damage – This portion of liability insurance covers damage you or your drivers do to other vehicles or property. Bodily Injury – This portion covers any injuries other motorists or pedestrians sustain as a result of an accident where you or your drivers are at fault. Physical Damage Insurance – This coverage pays for repairs to your vehicle, regardless of who’s at fault. If you financed your tow truck, lenders often require you to get this coverage. Comprehensive Coverage – Physical damage insurance for off the road. Covers things like fire, theft, and vandalism. Garagekeepers Legal Liability – Protects customers’ vehicles while they’re being held on your property. On-Hook Towing Insurance – Protects the vehicles you tow while you’re towing them. Cargo Insurance – Different from on-hook towing and garagekeepers insurances, this protects the *contents* of vehicles while in your care. Pays for lost, stolen, or damaged goods. Medical Payments Insurance – Like the name suggests, this covers medical payments of you, your driver, or passengers in your tow truck in the event of an accident. Workers’ Compensation Insurance – Legally required insurance for business owners that covers the medical costs and lost wages of employees hurt on the job. Liability Umbrella – Protects you when you when an accident occurs and you need coverage exceeding your existing limits. Can I cancel my policy at any time without any fees? What kind of repairs do you offer—OEM or otherwise? Do you offer combined deductible? When can I reach you if I’m in an accident? Do you have 24-hour claims service? Find out which discounts are available. Companies have countless discounts for businesses based on safe business practices. You might be able to get a discount if you offer safety manuals and employee handbooks, your drivers use GPS systems, or you have security cameras installed on your property. There are many types of payment plans available, including month-to-month payments, year-to-year payments, and everything in between. In general, the more you pay upfront and the more spaced out your payments are, the less your overall premium will cost.